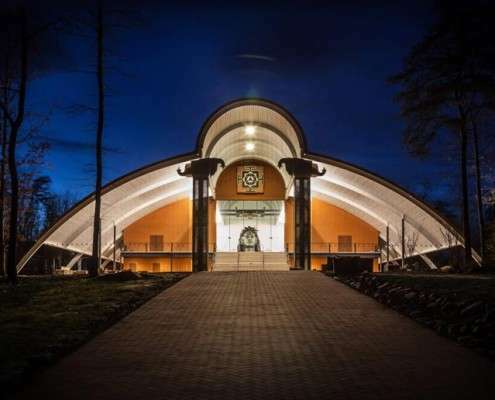 The central feature of the Institute is Mahima, a 39,000 square-foot free-spanning meditation hall consecrated by Sadhguru to serve a seeking population of millions in the Western world. Built to serve generations of visitors, this powerful space offers the possibility of deeper knowledge and inner experience of the timeless wisdom of Adi Yogi, the originator of yoga. The Isha center also offers myriad opportunities for hiking and mountain biking on forested trails winding throughout nearly 1400 acres. The center’s five miles of mountain biking trails have been professionally classified from beginner to intermediate skill levels, with steep climbs, water features and tight switchbacks livening up the more challenging routes. The trails are part of an expanding network of over 15 miles of hiking and biking trails featuring beautiful waterfalls, a meandering spring-fed creek and breathtaking bluff overlooks. Extended retreats feature Ayurvedic rejuvenation consultations and therapies; guided hikes and adventure outings to nearby caves, rivers and falls; and even cooking classes to bring home some favorite vegetarian delights from the Isha center’s popular international kitchen. 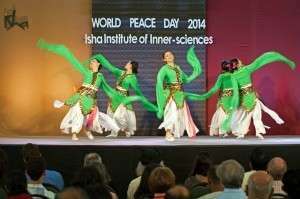 Each year, in tandem with the United Nations’ International Day of Peace, Isha Institute of Inner-sciences celebrates both World Peace Day and Isha Fest. World Peace Day is dedicated to empowering peaceful possibilities within ourselves and our world through thought-provoking discussion, creative expression, celebration and meditation. World Peace Day is both a celebration of human potential and an inspiration for every human being to transform his life into a blissful experience. Isha Fest marks the inception of Isha Foundation and commemorates Sadhguru’s enlightenment. Isha Shoppe includes Isha’s own collection of naturally-made wares. It features Isha Craft, hand-crafted decorative pieces that include paintings, pottery, unique brass and copper metal art, and elegant imported granite carvings. All proceeds from Isha Craft benefit Isha’s humanitarian initiatives.